I know these have been around for around a month now, but I recently saw images of the new 2012-13 O-Pee-Chee hockey set. 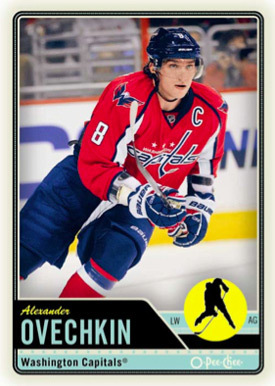 It took Upper Deck seven tries, but they finally made an O-Pee-Chee design that I actually like. OK, that’s not entirely true. I loved the 2009-10 design. But my biggest complaint has … Continue reading "Upper Deck finally gets an O-Pee-Chee design right"